A profound, startling, and beautifully crafted debut novel, "The Sympathizer" is the story of a man of two minds, someone whose political beliefs clash with his individual loyalties. It is April 1975, and Saigon is in chaos. At his villa, a general of the South Vietnamese army is drinking whiskey and, with the help of his trusted captain, drawing up a list of those who will be given passage aboard the last flights out of the country. The general and his compatriots start a new life in Los Angeles, unaware that one among their number, the captain, is secretly observing and reporting on the group to a higher-up in the Viet Cong. 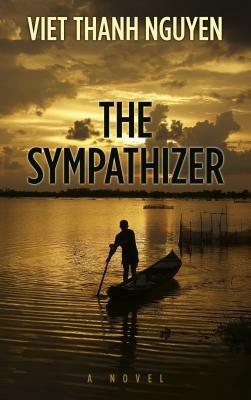 "The Sympathizer" is the story of this captain: a man brought up by an absent French father and a poor Vietnamese mother, a man who went to university in America, but returned to Vietnam to fight for the Communist cause. A gripping spy novel, an astute exploration of extreme politics, and a moving love story, "The Sympathizer" explores a life between two worlds and examines the legacy of the Vietnam War in literature, film, and the wars we fight today. Viet Thanh Nguyen was born in Vietnam and raised in America. His stories have appeared in "Best New American Voices," "TriQuarterly," "Narrative," and the "Chicago Tribune" and he is the author of the academic book "Race and Resistance." He teaches English and American Studies at the University of Southern California and lives in Los Angeles.